All transactions are safe and secure with a reliable history in online purchasing behind each of our associates. 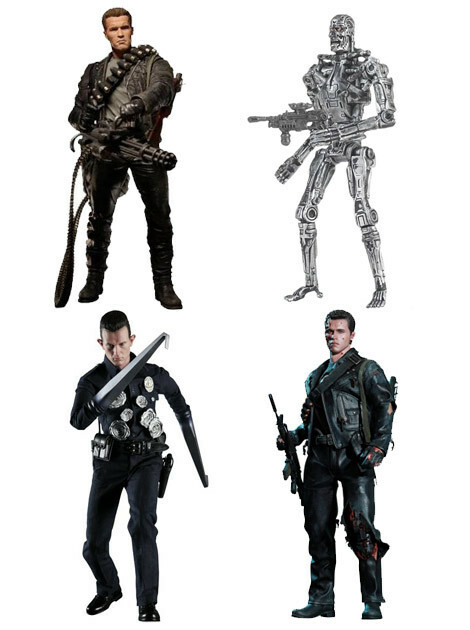 Buy the Terminator Action Figures and T2 Toys to own Terminator clothing and merchandise. In addition to classic T2 action figures like the liquid metal T-1000 figure, you'll also find related Terminator toy vehicles like the Skynet Hunter Killer aerial vehicle pictured on the left. Collect toys from the latest movies in the cyborg franchise, including toy characters like John Conner and his cyborg protector, the T-800. Action figures include both regular and battle damaged replicas. In addition to the Terminator Action Figures and T2 Toys above, browse the Terminator Clothing Gallery for more apparel like men's and women's clothes, kids shirts or hoodies.